Read more about 2018 winners, Leeds City Museum, and other past winners of the Family Friendly Museum Award. Kate Shopland, Samantha Flavin, Richard Higson Blythe and Afreen Hussain from Leeds City Museum celebrate at the Family Friendly Museum Award 2018 Ceremony. On Monday 1 October 2018, Leeds City Museum was named the Family Friendly Museum of the Year 2018 at a ceremony hosted by broadcaster, Philip Mould OBE, at the May Fair Hotel in London. Baby-friendly curator talks, signposted selfie points, ‘Dadstastic’ Days, and excellent facilities are just some of the things that helped Leeds to fend off competition from ten other museums across the UK. Leeds City Museum stood out for its ‘warm and welcoming’ staff, who were present throughout the museum and went the extra mile to help visitors. Families also praised the museum for being representative of the different communities in Leeds in its exhibitions. This year marks ten years since Leeds City Museum reopened in the former Mechanics’ Institute. The museum was originally established in 1821 and is run by Leeds Museums and Galleries (LMG), the largest local authority-run museum service in England. Over 90,000 children went to Leeds City Museum in 2017, with the majority of children visiting with their families. The museum holds regular groups for all ages, from ‘Museum Minis’ for under 5s to the Preservative Party youth panel for 14-22 year olds. Local schoolchildren have even contributed to museum displays and hosted events. Leeds is the third Yorkshire attraction to win the accolade, joining previous winners York Art Gallery (2016) and Weston Park Museum in Sheffield (2008). The Family Friendly Museum Award is kindly supported by Edwardian Hotels London. A Co-op shop with old fashioned till that everyone can play with, craft tables and a place to make your own placard, a suffragette kitchen to explore, friendly welcoming staff, microscopes to look at bugs in the conservation studio, gender neutral toilets, a shop with an excellent range of pocket money toys and loads of buttons to press and games to play, these are just some of the excellent things that made the People’s History Museum winner of the Family Friendly Museum Award 2017. Relaunched in 2010 after a major refurbishment programme and attracting over 100,000 visitors per year, the People’s History Museum is the national museum of democracy. With a collection of 1,500 objects celebrating the history of working people and a unique archive, the People’s History Museum stood out among this year’s shortlisted museums for listening to its family audience and making difficult subjects exciting and accessible. The recent exhibition, Never Going Underground: the Fight for LGBT+ Rights was curated with the local LGBT+ community with the aim of being family friendly and included special family packs. This exhibition was a highlight for many of our family judges. Displays babies can touch and lick, low-level labels, lots of comfy chairs, a dedicated Welcome Team, an excellent café, sketch pads dotted about, and even an edible woodland with herbs, berries, fruit trees and ornamental vegetables selected not only to look good, but taste good. These are just some of the inspirational, excellent family-friendly things that made York Art Gallery winner of the Family Friendly Museum Award 2016. York Art Gallery, part of York Museum Trust, has recently reopened after a stunning £8 million refurbishment, dedicated to putting families at its heart. The winner of the 2015 Telegraph Family Friendly Museum Award is 120-year-old Tullie House Museum and Art Gallery in Carlisle, Cumbria, close to the England-Scotland border. In 2015, the Award broke all our previous records with over 850 nominations, from tiny one-roomed galleries to mighty museums of international reputation. Shortlisted museum, the Winding House in Caerphilly, Wales, was also given a Special Commendation for Outstanding Contribution to their Local Community – the first time any museum has been given such a commendation. This is in recognition of the testimonies local families gave to their museum, saying how much it meant to them. National Maritime Museum Cornwall has won the 2014 Family Friendly Museum Award, beating a six-strong shortlist. 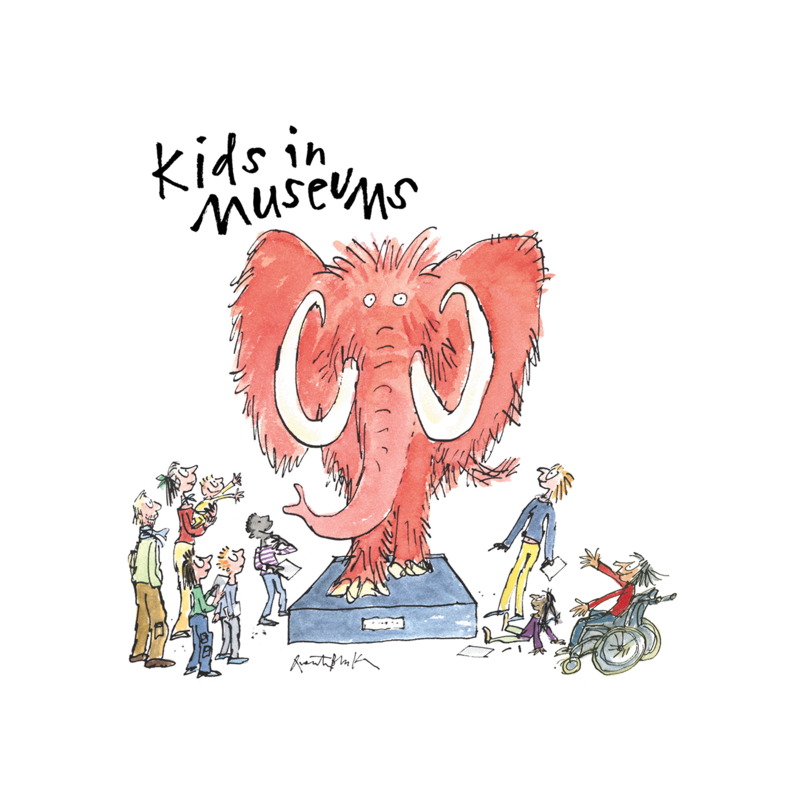 Kids in Museums Patron Dan Snow, broadcaster and historian, said: “The Family Friendly Museum Award goes from strength to strength, giving a real voice to families about choosing what works in a museum for them. It’s fantastic that National Maritime Museum Cornwall has won the award. It’s the second time a museum has won the Award from the town of Falmouth, Cornwall. The Falmouth Art Gallery won the Family Friendly Museum Award eight years ago. National Maritime Museum Cornwall picked up the prize after being shortlisted last year. The museum received the award at a star-studded ceremony at the Telegraph newspaper. With over 140 nominated museums for this year’s Telegraph Family Friendly Museum Award, our undercover family judges were so impressed with the six-strong shortlist that they couldn’t decide, so they chose joint winners! Tiny Brixham Heritage Museum in Devon, housed in a former police station and big national Horniman Museum and Gardens share the title of being Britain’s most Family Friendly Museum 2013. The museums received the award at a star-studded ceremony at the Telegraph. The winner of 2012 Telegraph Family Friendly Museum Award was Haslemere Educational Museum. Haslemere, a small independent museum in Surrey, shone through because of its warm and welcoming attitude and wide range of activities and clubs for children and teenagers. Our judging families particularly noticed how friendly the volunteers were, willing to have a chat to visitors of all ages and point out interesting things to do. A small museum with an unpromising collection, including displays of 19th century Porcelain and glass cabinets of stuffed animals collected by a local dignitary in the early 20th century, is the most family friendly museum in Britain. Mansfield Museum in Nottinghamshire has used imagination, innovation and case loads of enthusiasm to beat off its rivals in the six-strong shortlist and win this year’s Guardian Family Friendly Award – the biggest museum award in Britain and the only one judged by families. The Herbert Art Gallery and Museum, Coventry, was the winner of the 2010 Guardian Family Friendly Award. Weston Park Museum, Sheffield, won the Guardian Family Friendly Museum Award 2008. Four generations from one family – from the great-grandmother to her great-grandchildren – judged Weston Park and found it came out top for family-friendliness to all ages. Every generation found something for them. In 2006 Falmouth Art Gallery won the Guardian’s Family Friendly Award. Having been shortlisted in both 2004 and 2005 it was a well-deserved win. The Gallery has consistently welcomed and involved children and families in imaginative, fun and engaging ways. Brian Stewart, Director, Falmouth Art Gallery: “Winning this prestigious award has given a huge boost to the morale of staff and volunteers at Falmouth Art Gallery as well as great pride to the town. We received so many congratulations from our regular visitors who rightly came to feel it was their gallery. “The award gave the gallery a wide national profile and we have been consulted for advice by many museums large and small. It has given past student volunteers, who have gone onto careers in other museums, confidence to spread the Kids in Museums philosophy to their new organisations. “All the staff and volunteers at Falmouth Art Gallery have realised that they are part of an important movement for change in museums and this responsibility has led to the constant search for improvement. In 2005 the Pitt Rivers Museum and the Oxford University Museum of Natural History were joint winners of the Family Friendly Museum Award. The winners were chosen by a panel of children aged between 8 and 16. All of the judges were impressed by the way these neighbouring museums treat younger visitors as an important and valued audience. In the summer of 2004, Killhope North of England Lead Mining Museum in County Durham was declared the winner of the first Guardian Family Friendly Museum Award. Ian Forbes, Director of Killhope North of England Lead Mining Museum, said: “The day we discovered that Killhope had won the first Guardian Family Friendly award in 2004 is still etched in my memory. “What did winning mean to the museum? Many things. Immediately it felt like validation of our approach to our public. We have always put the visitor at the centre of what we do, believing that our role is above all to tell the story of our site and our collections to everyone who comes through our doors. If the visitor is happy, then so are we! “Later it felt like a challenge. Not just that we had something to live up to, but more that we should use the award as a spur to achieve more. How can we continue to improve? How can we continue to ensure that what we offer is fresh and relevant to the next generation of museum visitors? “And still, today, this is an award that is remembered by people I talk to. It has had a remarkably long shelf-life, and has helped ensure that Killhope continues to be seen as a great family day out. “Many times since winning the award I have been asked what the secret of our success was. I don’t think it’s a secret at all. If everyone in the museum – and I mean everyone from cleaner to director – believes that their first and most important duty is to ensure that each and every visitor gets what they want from their visit then the museum will be family friendly. It’s as simple and as hard as that. It’s not primarily about the nuts and bolts, and the ticking of check lists. It’s about attitude. Get that right and you’re a winner.